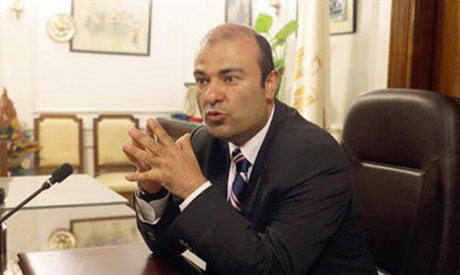 A major economic summit aimed at encouraging international investment in Egypt will be held on 21 February in the resort town of Sharm El-Sheikh, Supply Minister Khaled Hanafy said. During the summit, Egypt's government will present 15 mega-projects worth $100 billion, Hanafy said, according to state daily Al-Ahram on Saturday. The summit will host international companies and organisations, to encourage them to invest in the country. Egypt has already completed the planning of a project to build an international shopping zone on one thousand feddans of land near the Suez Gulf, which should create around 500,000 jobs, said Hanafy. A commodities exchange project, which is expected to cost $14 billion and have a storage capacity of up to 40 million tons, will also be presented at the summit. Egypt announced last month that it will request an assessment from IMF of the country’s economic and financial affairs ahead of the summit, known as an Article IV consultation. Investment Minister Ashraf Salman said last week that the move is meant to assure investors that Egypt is taking the necessary economic reforms needed to encourage growth and a healthy investment environment. The private sector will also be able to present projects in the summit to attract international partners, Salman said last month. Since Abdel-Fattah El-Sisi became president in June, the government has made several major economic reforms aimed at fiscal consolidation, including cutting fuel subsidies by up to 78 percent, and introducing new taxes. Egypt has also seen the announcement of mega projects to expand the Suez Canal and to encourage public-private partnerships in developmental projects. But Egypt's battered economy is in need for further investments. According to Salman, Egypt will need private sector investments of LE260-LE336 billion if it is to achieve its growth target of 3.5 percent by the end of the current fiscal year.